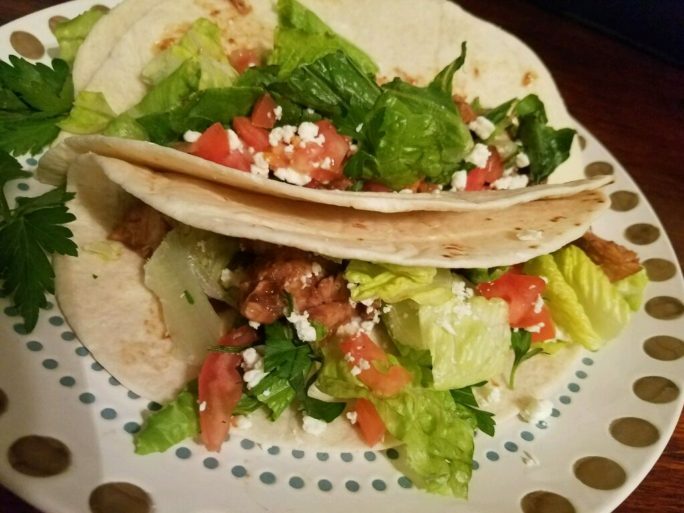 Today I bought a pork roast because it was on sale and decided to make some tacos using it! I usually don’t buy pork, but when I see a sale, I cannot pass it up. This is an easy recipe that only takes 5 minutes to prepare. 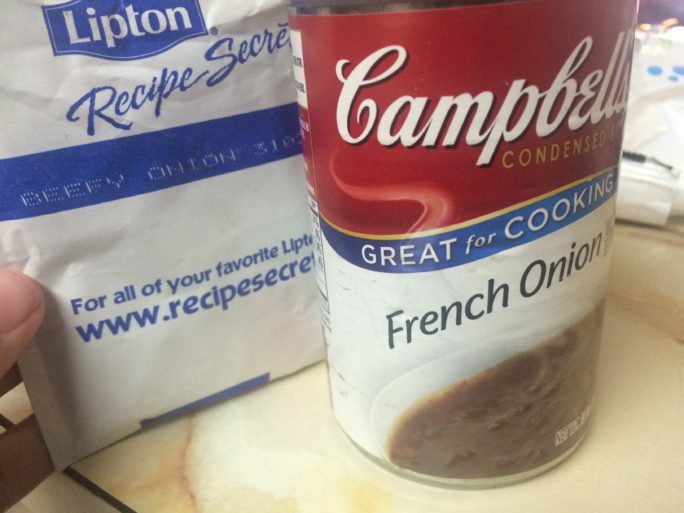 You need a 2 lb pork roast, a pack of Lipton onion soup, 1 can of french onion soup, salt, pepper, and garlic powder. Make sure that you trim all of the fat off of the roast! We don’t want to eat all of those calories from fat! These delicious tacos are so good that your family will ask for them to be a household staple! 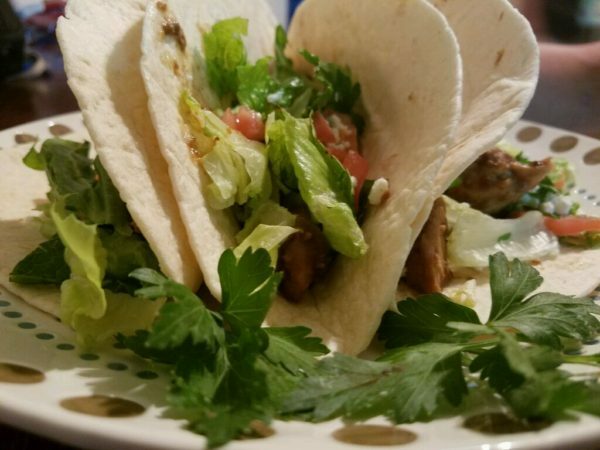 I know that we all think of tacos as being ground meat, cheddar cheese, with the works on top, but these are even better than normal tacos. Give it a try and you will see! 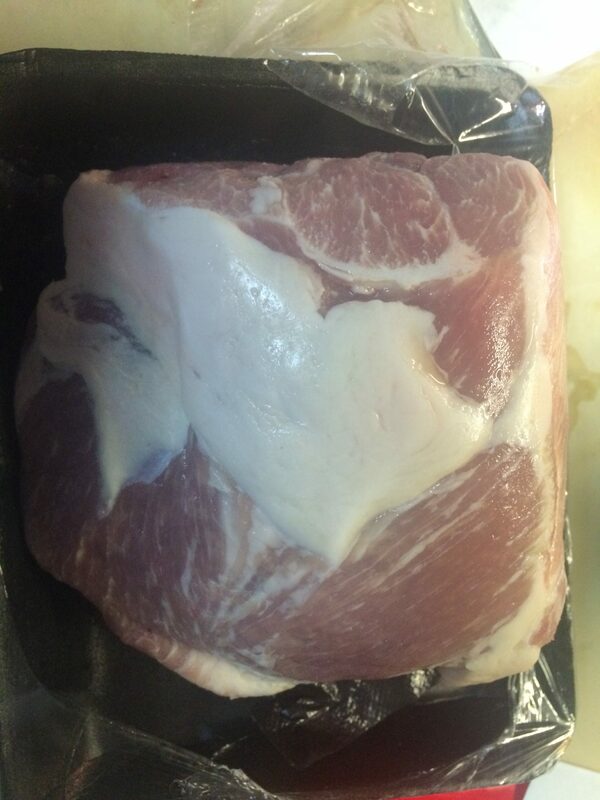 Cut all of the fat off of the pork roast. 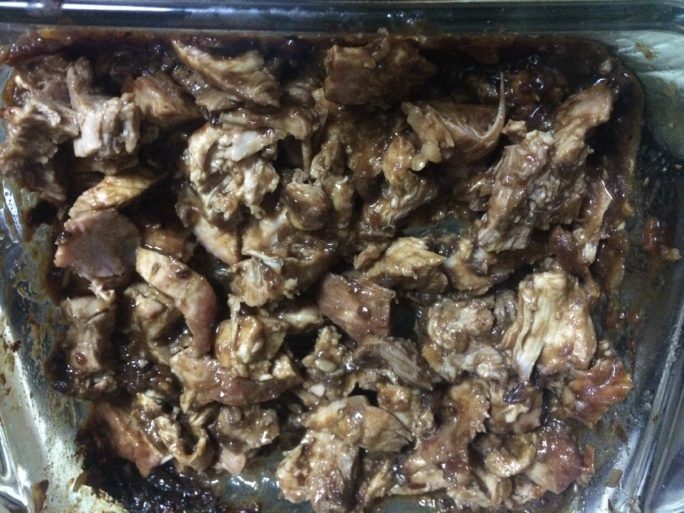 Place roast in baking dish. In a separate bowl, mix the Lipton onion soup mix, french onion soup, garlic powder, salt, and pepper until well blended. 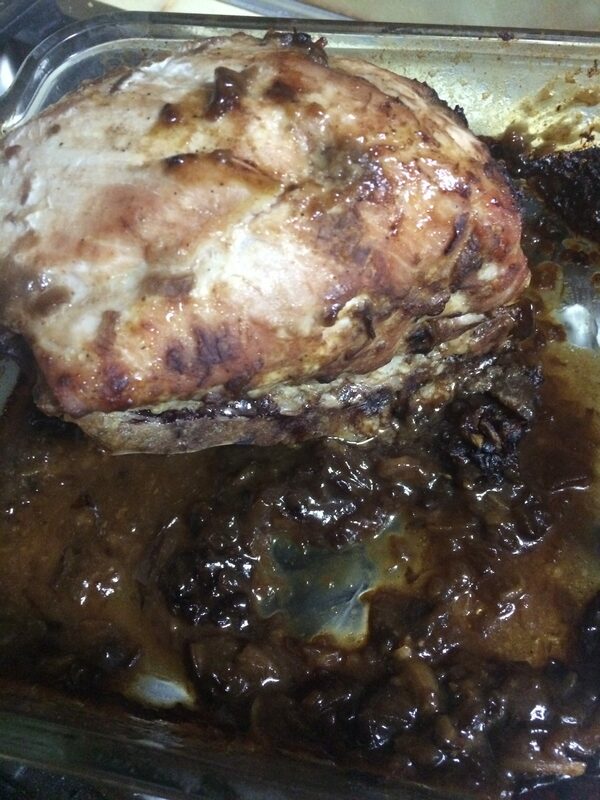 Pour the mixture on top of the pork roast. Cover the baking dish with aluminum foil and place in oven. 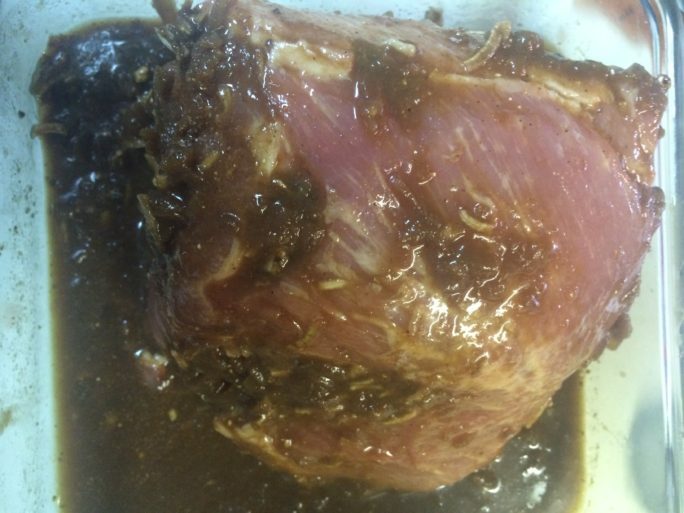 Take roast out of oven and dice the meat into bite sized pieces. Put diced meat into the onion mixture and coat each piece in the sauce. Place back in oven and bake for an additional 10-15 minutes. 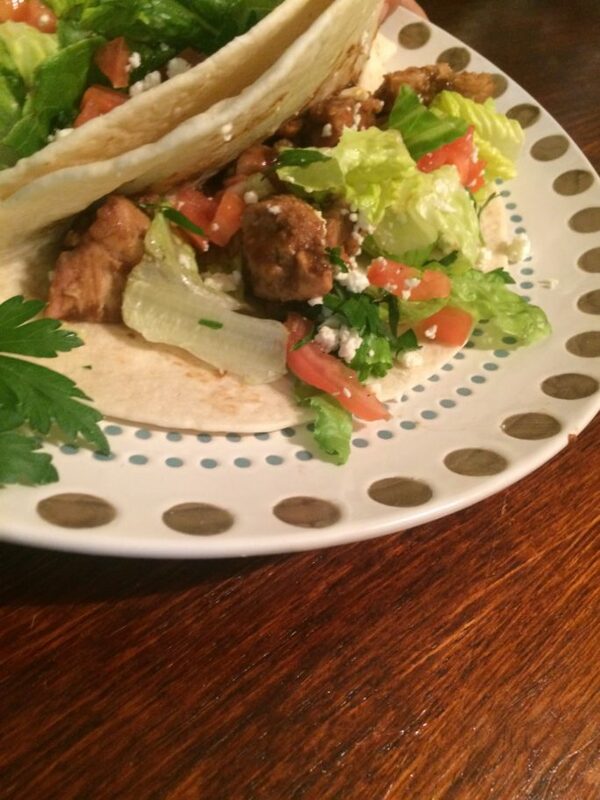 Put pork into a tortilla with romaine lettuce, diced tomatoes, fresh parsley, and feta cheese. Enjoy!